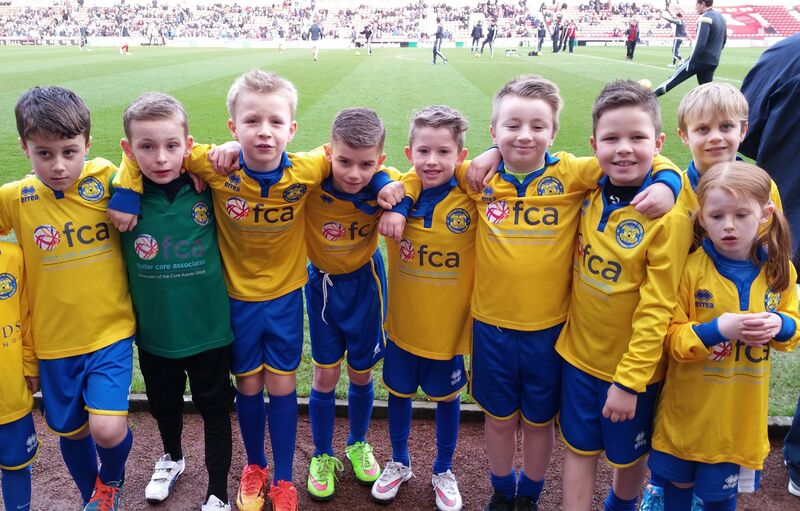 Back Row – L to R: Ethan Hobson, Joel Easby, Jake Toase, Miles Cann, Dylan Smith, Tom Birtles, Will Spence, Zach Masters. 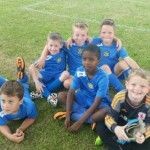 Training – Sat 9.00-10.00am & Thurs 5.00-6.00pm – subject to change. 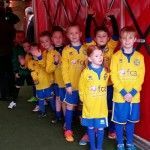 Fixture Changes – 04.02.19 There have been new changes to the teams 2018/2019 fixture list. Please refer to full revised fixture list above for new confirmed dates. Transfer News – 01.01.19 Brooklyn Joyce has left us to return to his former club TIBBS for the 2nd half of the season. We wish him well and good luck as he moves on. 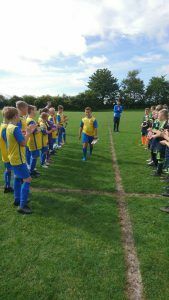 Goodbye Zach – 16.09.18 We again unfortunately have to say goodbye to another valuable member of Shanes squad as we all wish Zach Masters good luck as he moves abroad for a new life in Turkey. Zach signed off his final game today by wearing the captains armband for the 2nd half and creating the final goal of the game to put the seal on a fine team performance. 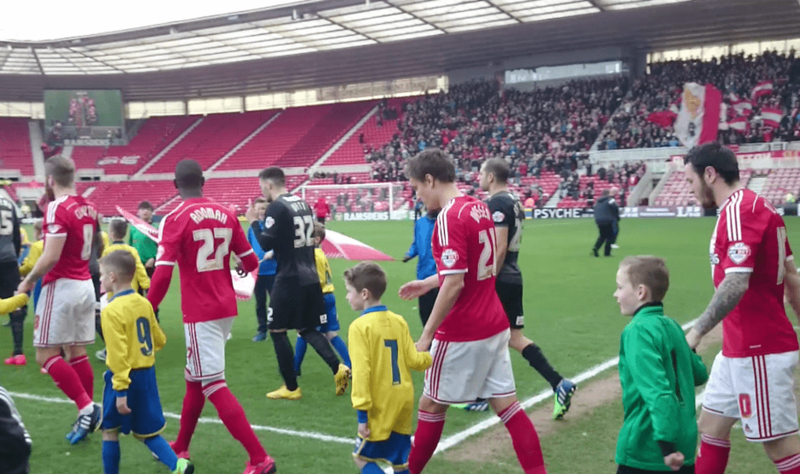 Zach leaves the field for the final time in an STFC shirt through the now traditional under 12’s guard of honor. Transfer News – 02.09.18. 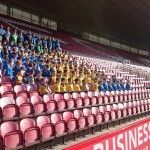 Shane has been very busy in this summers transfer market making several new signings to bolster the squad along with the return of some familiar faces whilst also there has been a few outgoings. 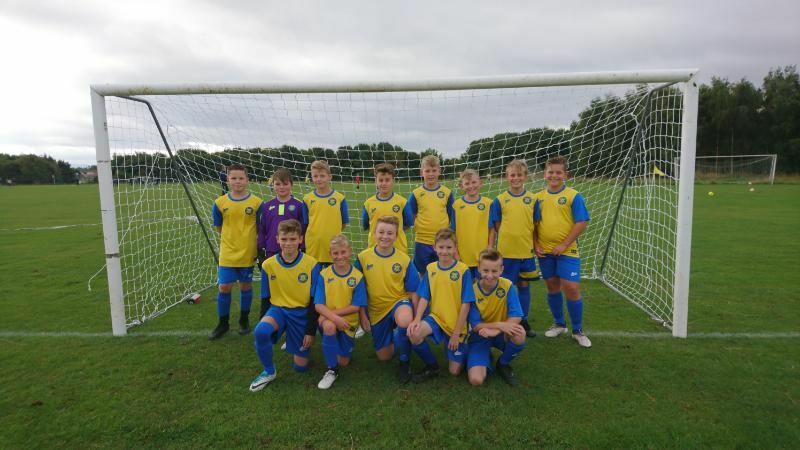 A big welcome to goalkeeper Joel Easby and midfielder Tom Birtles who have both moved across from our U12 Royals team. 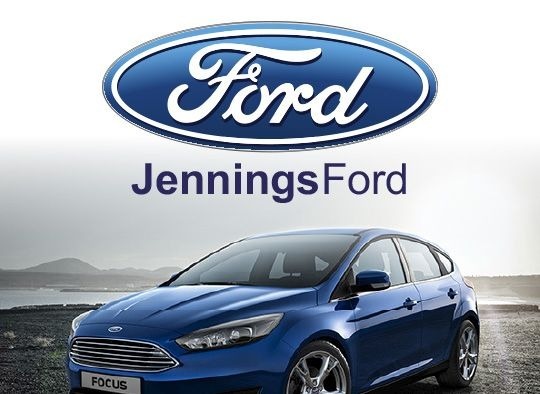 Also returning to their old stomping ground are striker Jack Spears after a season away in academy football and Dylan Smith a defensive midfielder who previously played for our Blues team before moving on to Leven AFC. Joining the boys are three players who are new to Stockton Town, Dan Dryden moves over from one of our old rivals NASA bringing an impressive goal scoring record to bolster our attack along with him are attacking midfielders Brooklyn Joyce joining us from TIBBs and Ethan Connoly who joins back up with his former team mate Jake Toase. A warm welcome to all. 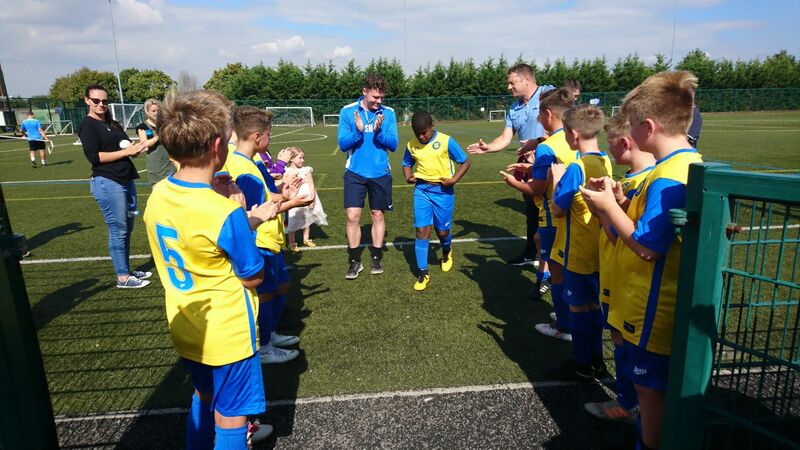 Leaving us are Bradley Hughes, Kai Davies, Ethan Aspin who all served us last season to whom we would like to pass out thanks on and wish good look for future footballing ventures. Finally one name we are sad to lose unfortunately due to family relocation is Oumar Diayallo who has been with us since the formation of the team in June 2013. He played his last game for us away to Leven and was fitting he scored the last goal of the game with a sublime chip in a 3-0 win. 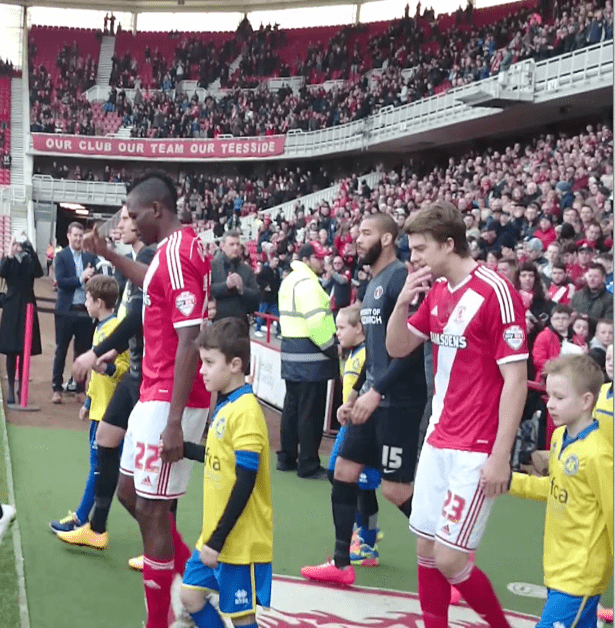 He left with a signed shirt from the team, a guard of honour and also a few tears – he gets a big thanks from Shane & Shayne and his team mates for his great service over the last 5 years and we all wish him well for the future. 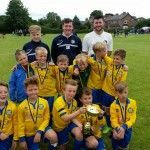 Tournament Winners Again – 22.07.18 The team again showed why they love playing the Norton Summer Tournament by lifting the cup they won in 2015 and also runners up in 2016. 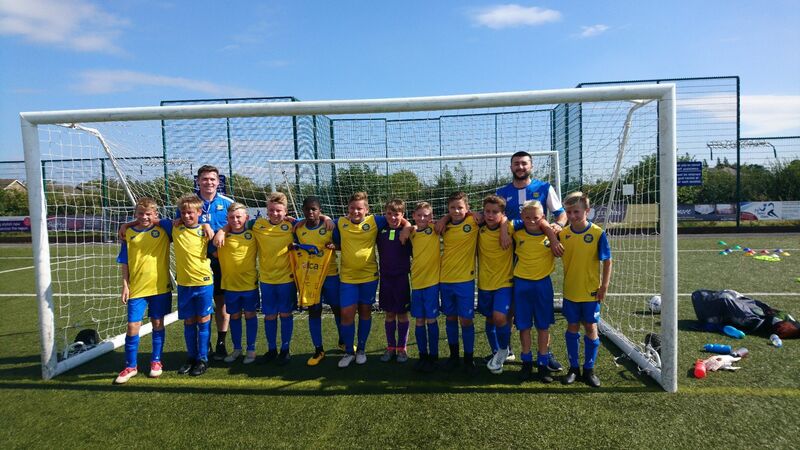 The boys were solid all the way through and beat a strong Guisborough side in the semis with a last minute extra time winner to then go on and beat Redcar 2-0 who were the only team to beat us earlier in the day. 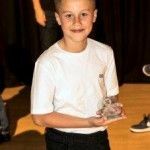 Player of the Year Awards July 2017 – 06.07.16 Congratulations to Leo Whalley who won Managers Player of the Year, Ethan Hobson winning Players Player of the Year & Zac Masters taking the Merit Award. 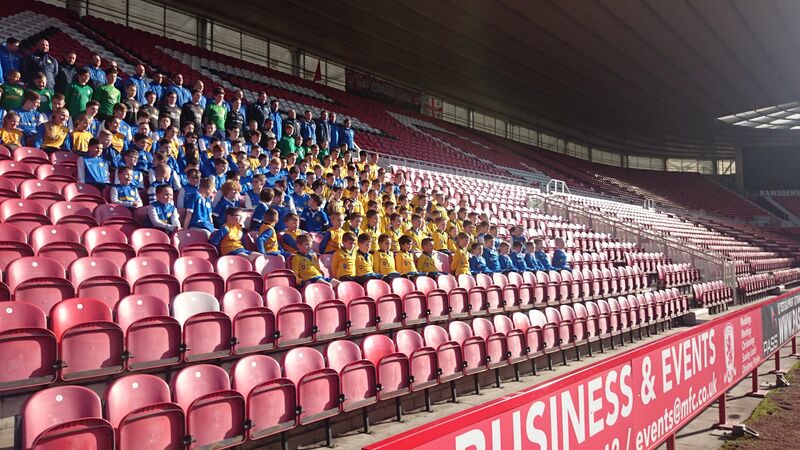 The boys were presented their awards by STFC 1st team players and Wembley heroes Adam Nicholson and Sonny Coleman. Transfer News – Sep 2017 – A warm welcome to Kai Davies & Bradley Hughes who join the team. Also a familiar face in Oumar Diallo who re-joins us after a stint at MFC academy, welcome back Oumar. 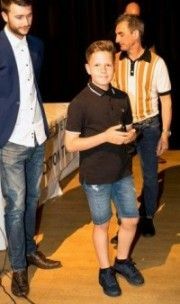 Player of the Year Awards June 2017 – 02.06.16 Congratulations to Ethan Hobson who won Managers Player of the Year, Leo Whalley winning Players Player of the Year & Archie Smith taking the Merit Award. 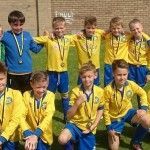 Dates for the diary 23.06.17 – Tournament Dates – Sun 2nd July @ Corus Cup Redcar, Sun 20th Aug @ Greatham, Sun 3rd Sep @ Stockton Town. 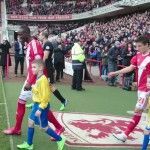 Transfer News 02.04.17 – A warm welcome to Evan Lockwood who has recently joined us in readiness for the coming 2017/18 season. Also good luck to Max Webster who leaves after today’s final game. 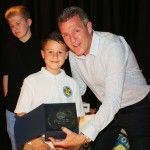 Max is re-joining his former club Leven AFC for the forth coming season, Shane and the team would like to thank Max for his contribution over the last season and half since joining. 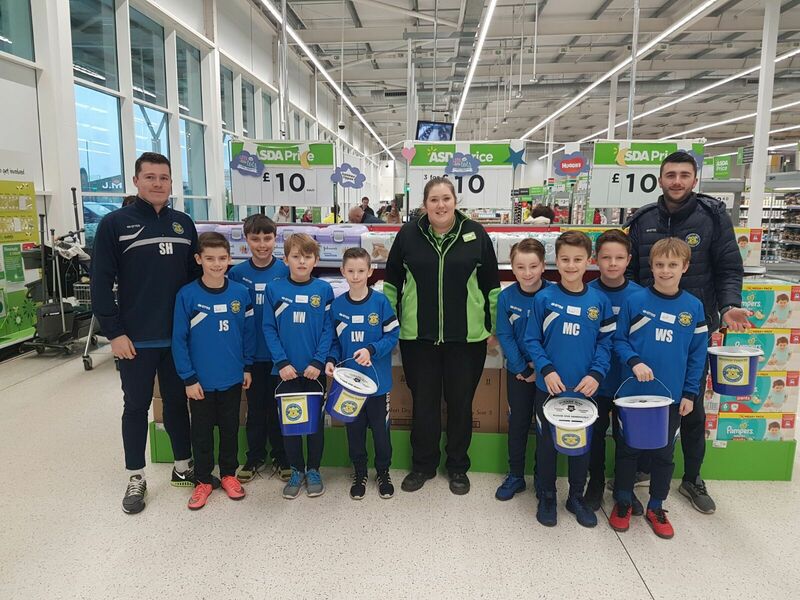 Fundraising @ ASDA 21.01.17 – The boys would like to thank the staff at ASDA Portrack Lane for allowing them to raise some well needed funds by bag packing for their customers on Saturday morning. 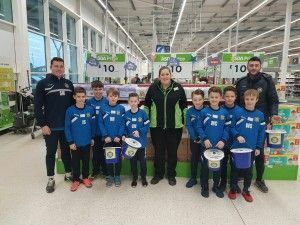 The hard graft by the boys (& parents) resulted in them raising £235.10 – well done boys !! Transfer News Jan 2016 – The team would like to wish Kaden James all the best as he leaves the team and moves onto pastures new, and thank him for his efforts both last season and this season. 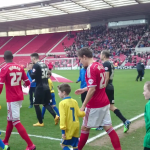 MFC Player Walkout 02.01.17 – Our boys had the privilege once again of leading the whole Boro team out onto the pitch for the start of a game like two years ago but this time they went one better and walking out for a Premier League game and with the added bonus that it was against the current Premier League Champions Leicester City giving them the opportunity to meet and shake hands with some of the finest footballers in the country. 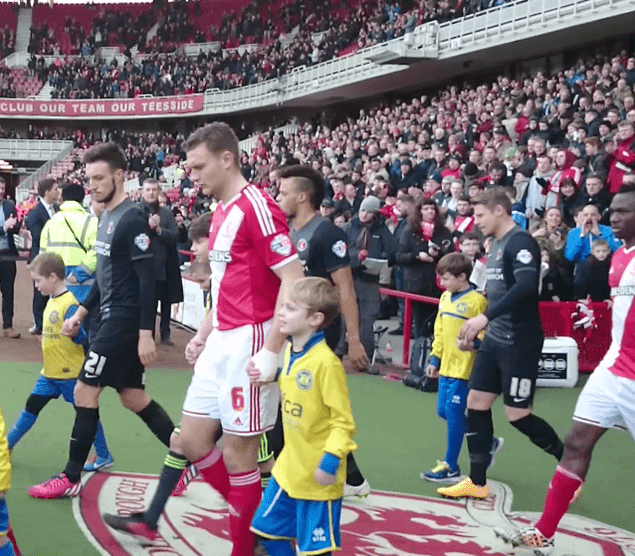 The full video can be seen on the link below. 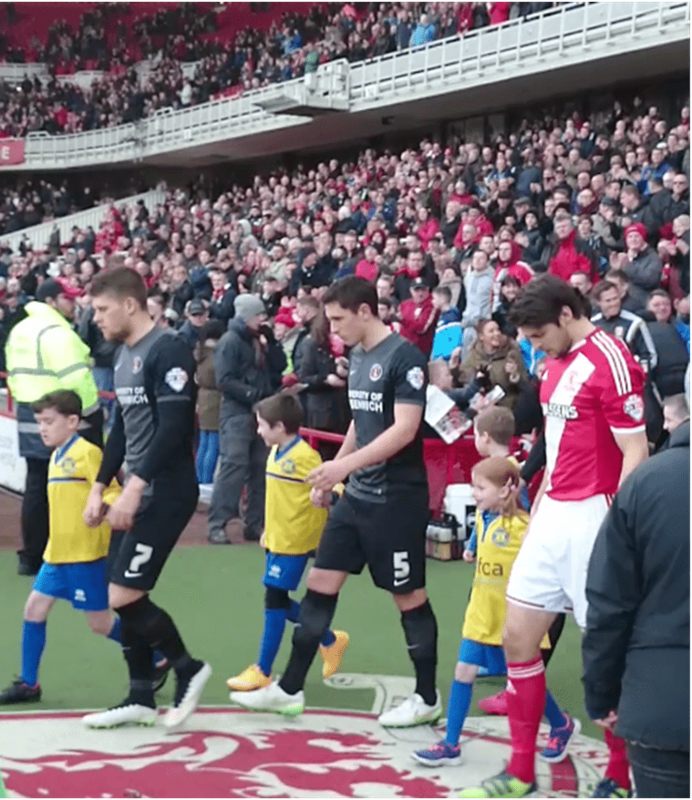 Transfer News Oct 2016 – The team would like to wish Freddie Smith all the best as he leaves the team and moves onto a new team in Middlesbrough, and thank him for his efforts both last season and this season. 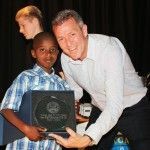 Cabaret Fundraiser July 2016 – Update – 08.07.16 – A big thanks to all that attended the fundraiser and dug deep into their pockets to help raise well over £600.00. Also a special mention must go to Julie & Mark Smith for their efforts in organising the event and to Andrew Hamilton who entertained with a popular set that had the crowd dancing the night away. Transfer News July 2016 – The team would like to welcome on board for the coming season new team member, goalkeeper Henry Copland who joins us from Leven AFC. We would also like to wish Joey Snow & Declan Doab all the best as they leave for pastures new next season and thank them both for their efforts last season. 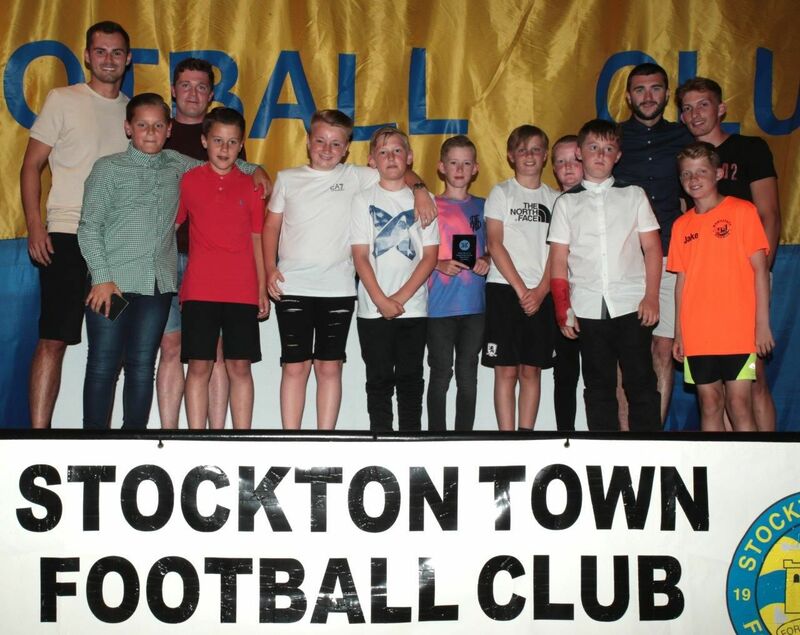 Player of the Year Awards June 2016 – 04.06.16 Congratulations to Archie Smith who won Managers Player of the Year, Will Spence with Players Player of the Year & Ethan Hobson taking Fans Player of the Year. 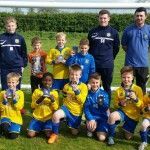 Flamingo Land Tour May 2016 – 22.05.16 A successful weekend away for all, where over the course of 2 days of football the boys finished runners up in their group and progressed to meet the group winner in the final. 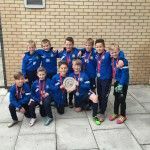 Some great football was played throughout the days and only 2 very late goals saw the boys end up on the losing side in the final meaning they brought home the runners up trophy. Well done boys !! 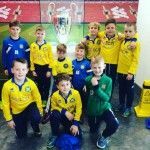 Stockton Town FC Visit to LFC Academy – 04.04.16 – The boys trip to Liverpool was an experience of a lifetime that they will not forget. 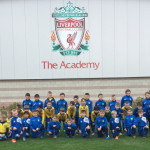 The team play some games against the Liverpool academy boys with the 1st game ending up a tight 2-1 loss and the 2nd game 7-3 to LFC but this did not spoil the boys day as they enjoyed it as a whole. 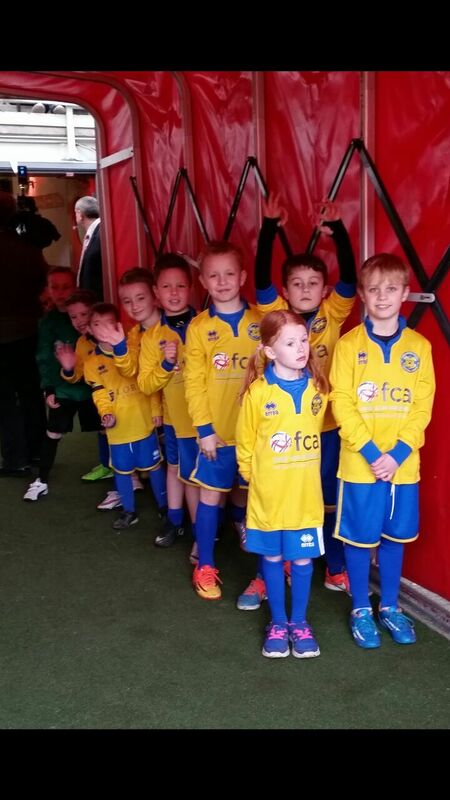 Transfer News 27.01.16 – U9 Yellows would like to welcome Max Webster to the team. Max is predominantly a midfielder who has previously played for Leven AFC and will make a welcome addition to the squad . There is also an outgoing player in this transfer window – Shay Wood has moved back to his former club Greatham FC. We wish Shay all the best with his new team and thank him for all his efforts during his time at STFC. 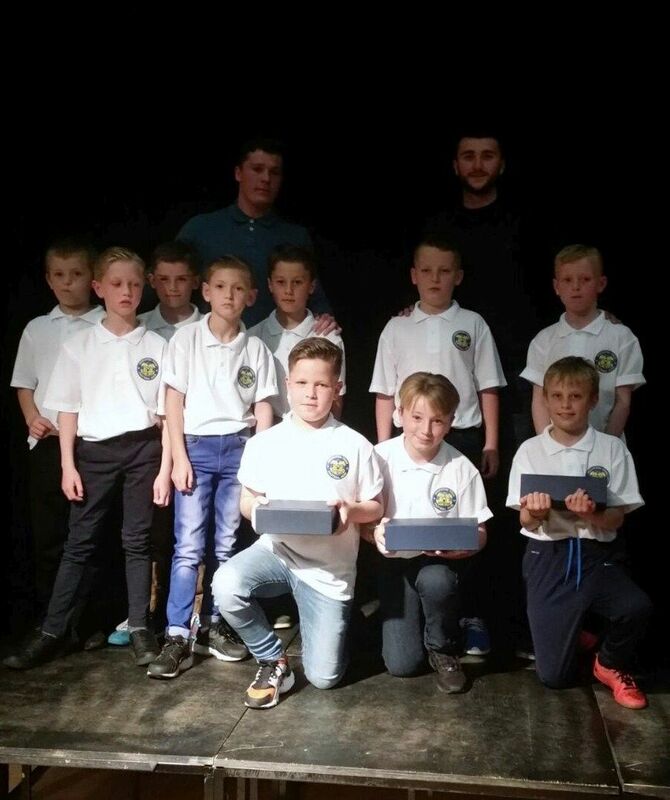 U9 Yellows Race Night 18.10.15 -a very big thanks to all who attended and dug deep into their pockets to help raise a massive £1300 for the boys making the night a great success. 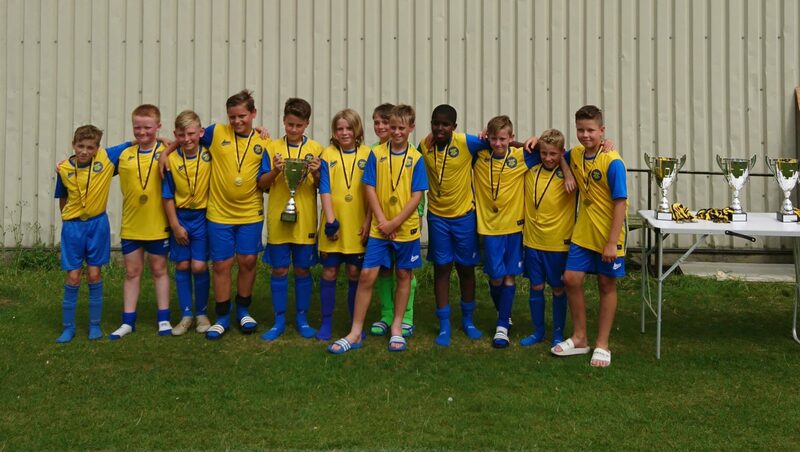 Stockton Town Tournament 29.08.15 – The boys came close to bagging their 3rd trophy of the summer as they just fell short in the final losing out to a single goal in extra time against Whinney Banks meaning they could not retain the trophy which the won last year. Never mind boys now for the real competition of the league. 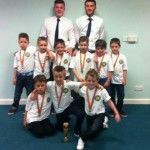 Billingham Utd Tournament 26.07.15 – For the second time in the space of a week the boys bagged themselves another trophy, this time following a league basis tournament at Billingham in which the boys won all their 7 games and again only conceding one goal all day. 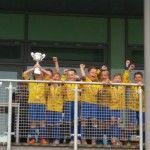 Leo scored the only goal in the final game to maintain their 100% record on the day meaning captain Archie Smith was able to lead the boys along the long climb up the steps to receive the cup Wembley style – STFC will be needing a new trophy cabinet before long – again well done boys !!! 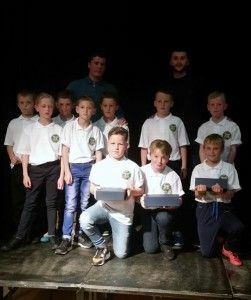 NASA Tournament 19.07.15 – The boys won the NASA summer tournament following a 5-1 final win after extra time over Boro Rangers courtesy of a Jack Spears hat-trick and goals from Ethan Hobson & Leo Whalley. 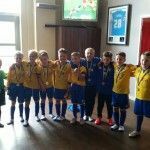 The team were superb for the whole of the day beating some good teams along the way and only conceding one goal all day. Well done Boys !!!! 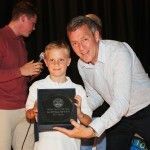 End of Season Player Awards 03.07.15 – Well done to all the team but a special mention must go to the boys who picked up the following U8 Yellow awards. 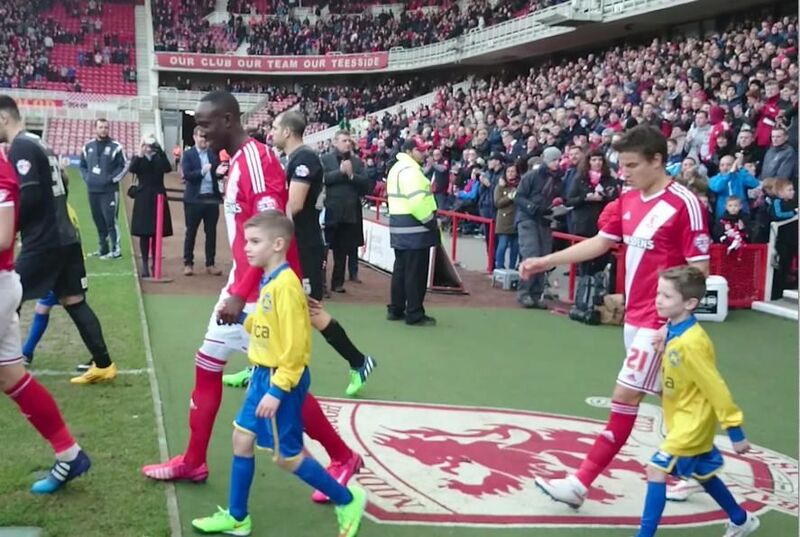 Also good luck to Oumar as he moves on to the Middlesbrough FC Academy for the coming season. 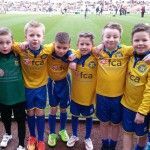 New Players June 2015 – A warm welcome to the four new players who have joined us in the close season – Joey Snow, Declan Doab, Kaden James, Freddie Smith. 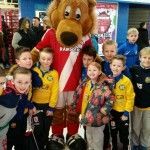 Joey joins from Marton and Declan, Kaden, Freddie were all team mates at their previous club Boro Rangers. Good luck for the coming season lads. 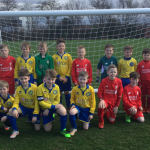 TJFA Cup Update 17.05.15 – The boys made their debut at Hurworth on Sunday in the TJFA league cup final. 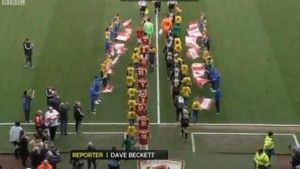 Unfortunately it wasn’t to be that they got their hands on another cup after going down 5-2 in a match that does not reflect the scoreline. On another day the 2 shots that hit the post at 0-0 may have went in, but the boys were gracious in defeat and were not downbeat. 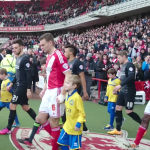 So a big WELL DONE to Shane & the boys – roll on next season. 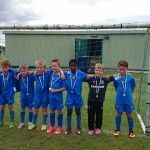 Summer Tournaments 2015 – All pre-season summer tournaments are now complete in readiness for the new season. Any 2016 info will appear here in due course. 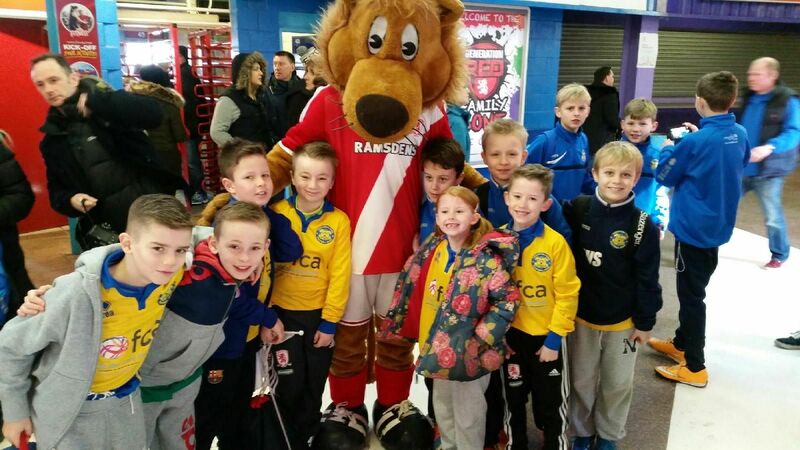 MFC Matchday Stars Update – 08.02.15 – What an amazing day for our team on Saturday over at the Riverside for Middlesbrough’s game v Charlton. 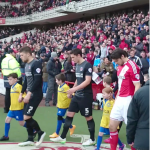 Our Under 8 Yellows team had the privilege of leading the whole Boro team out onto the pitch for the start of the game. 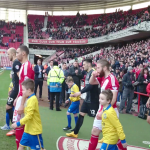 As you can see from the video link below they clearly enjoyed it by some of the beaming faces on the boys whilst walking out with their heroes. 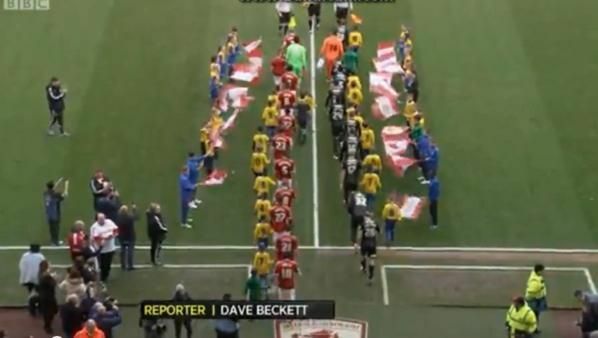 They even made a brief appearance on the BBC Football League show. 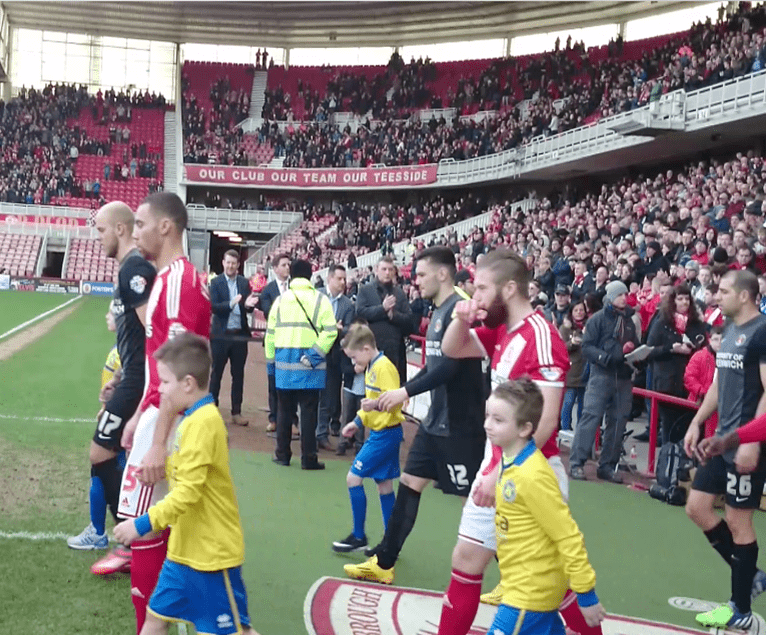 A big thank you to all the team who were impeccably behaved, and also a thanks to Eva-Mae & little Zac who stepped in at the last minute for the walkout. 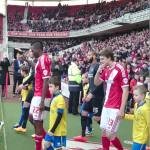 The future Boro line up?? ?